Pointe shoes are more than just a part of your dance costume. They are 'the tool' for any amateur or professional ballerina around the world to master pointe work, which demands a great deal of training, practice and attention. It is imperative for all ballerinas to get their pointe shoes fitted by a professional in order to prevent any long-term foot problems, which can have devastating consequences for a dancer and their career. Also known as 'toe shoes', pointe shoes were invented in the 19th century to meet the ballerinas' desire to appear weightless. It is often credited that Romantic ballerina Maria Taglioni pioneered the 'en pointe' technique into an art form during her lead role of 'La Sylphide'. From the popular adoption of the pointe shoe developed a new set of moves - pirouettes and the pique - that formed the principles of classical ballet such as The Nutcracker and Swan Lake. When assessing whether a dancer is ready for pointe work, their physical ability, strength and maturity must be taken into account. Dancers should train in soft ballet slippers for several years before progressing onto pointe. Feet and ankle exercises are also recommended. This will allow them to strengthen their feet, ankles, legs and core, preparing them for the full transition to dancing in their first pair of pointe shoes. 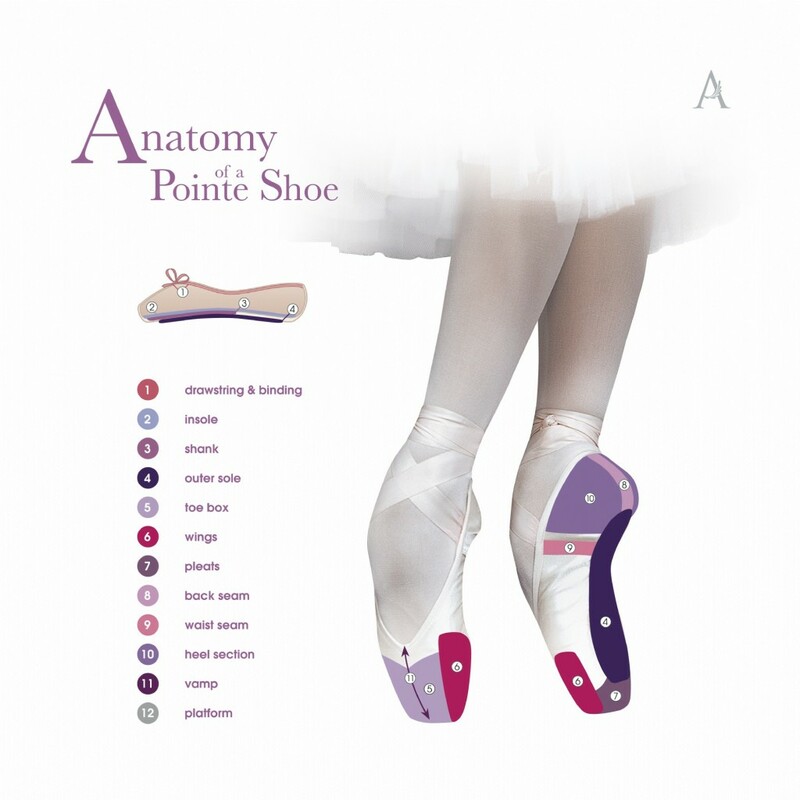 Dancers rated the fit as the most important pointe shoe characteristic. They should always fit feet perfectly; snug, but with enough room to let your feet lie flat and execute movements that allow articulation through the muscles and joints of the foot and ankle. With all this in mind, it is extremely important to visit a professional when buying point shoes. They will be able to advise you on the best type of pointe shoe for your feet which is comfortable and thereby reducing the risk of injury. 4 dance is a dancewear specialist, renowned for its skills in pointe shoe fitting. It has worked with dancers from all levels of the industry including local children and adult classes, large dance colleges including Arts Educational Schools London and companies such as Royal Ballet and English National Ballet. If you require a pointe shoe fitting, you can either book using the Book Appointment Button at the top of the page or contact us for more details.